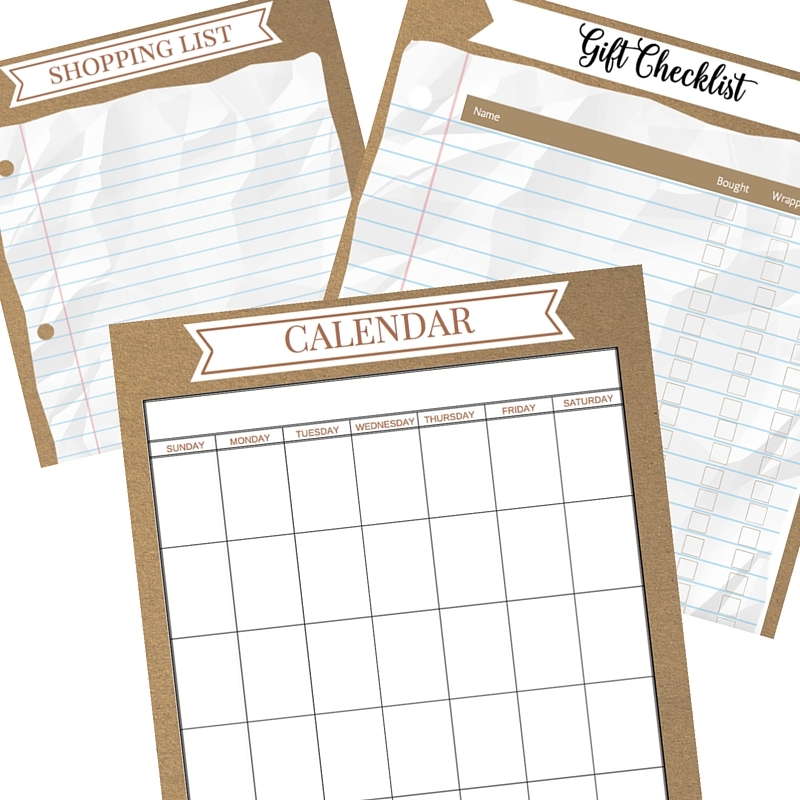 What is it about the New Year that makes us want to clear out the clutter and organize our homes? Maybe because we’re de-decorating from Christmas and it makes us see everything in a new light. One thing leads to another and the next thing you know, you discover that every room in the house needs attention. At least that’s what happens to me. And it’s overwhelming. I want to re-organize every space in the house. Now. 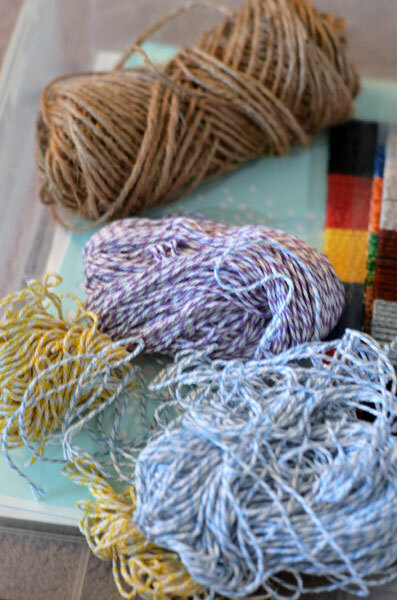 But since that’s impossible, I have decided to start right here in the craft room and I’ll show you how I used mason jars to organize baker’s twine. Perfect! And the lids make a perfect dispenser-like opening! I love how they look. The twine is organized and it looks pretty, too! What do you think? 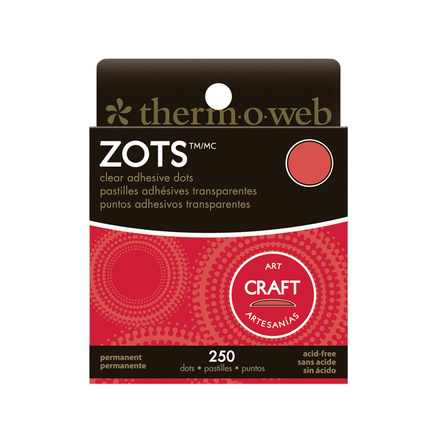 This is inspiring me to look for more objects that can be used to organize and display other craft supplies. Oh, I just spotted a tall, unused vase that might work for ribbon storage! What can you find around your house that you can turn into a storage solution? 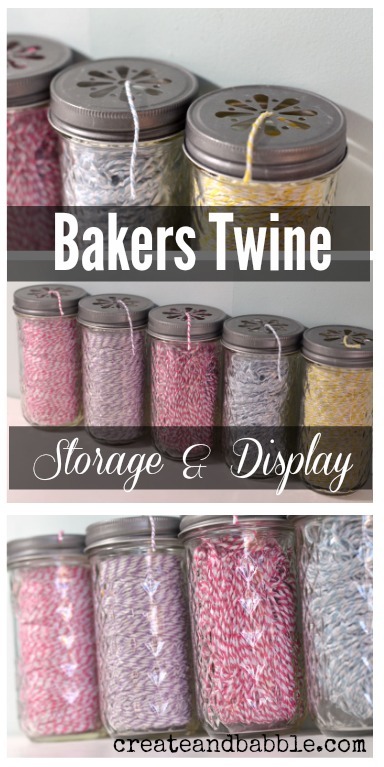 That is a wonderful idea for your bakers twine. I especially like the way they look all together. I have not ever seen little jar tops like those. You are right – they made the perfect dispenser! 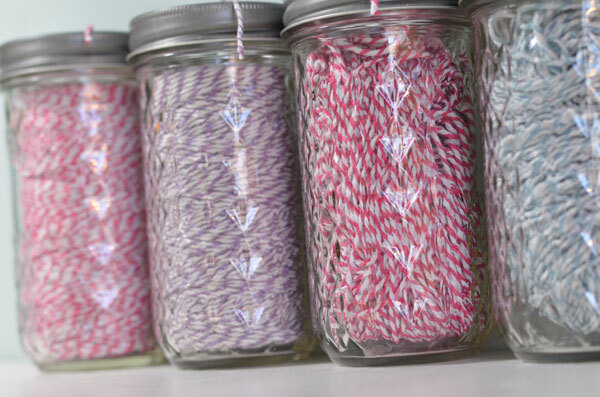 The twine looks great in the mason jars, where did you get the lids? 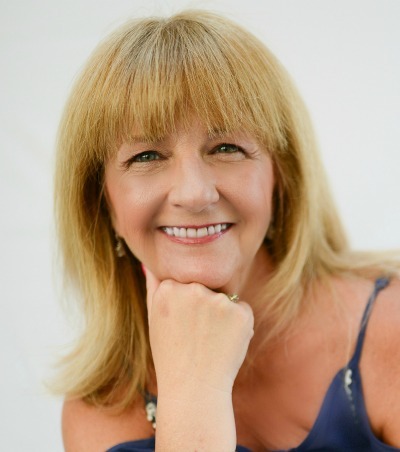 Thanks Gina! I got the lids last year from Pick Your Plum. They are available from Oriental Trading, too. Walmart carries lid inserts. Great idea ~ luv it. Love these jars and your use for them. 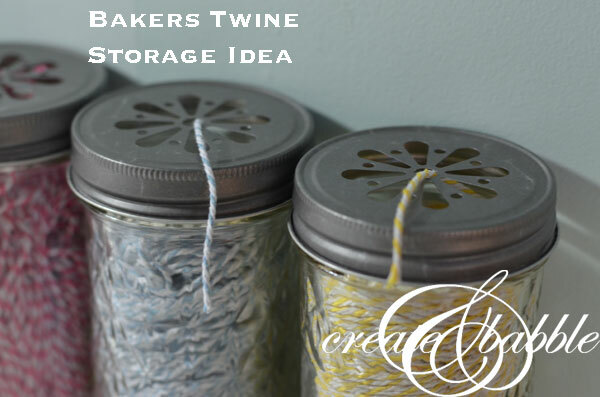 I have twine that needs organized as well and this would be perfect. I will have to start looking. Thanks for sharing at Throwback Thursday. Love this idea! Mason Jars are the best for organizing little things. I found that using CHALKBOARD TAPE FROM SCOTCH (TM) for labeling is wonderful.